Safes equipped with keypads use digital technology to protect your valuables. To open one of these safes, you must enter a multi-digit combination into the keypad and then open the door of the safe. Unfortunately, it can be very easy to forget the pass code to your safe when you live an active lifestyle. You may be able to determine your safe pass code without breaking into your safe or resetting it. However, it is not always possible to figure out your safe combination. Keypad safes have pass codes of two to10 digits. Check the instruction manual of your safe to determine how many numbers are in your lock combination. 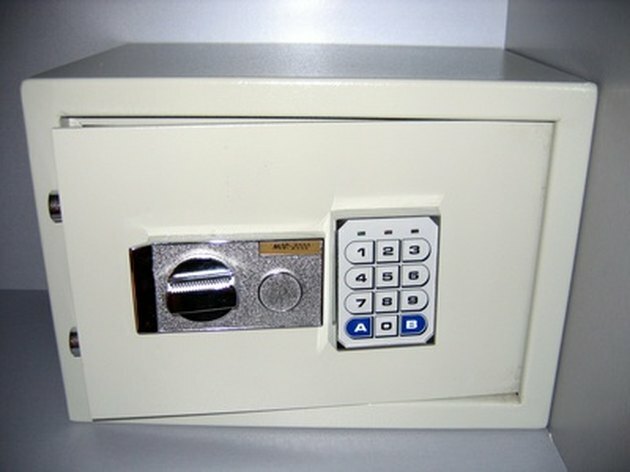 Some safes use a combination of a standard number of letters or characters. Other safes allow you to program a combination of anywhere from two to 10 letters. Attempt popular combination options such as birthdays, anniversaries, PIN codes and favorite numbers. Input a code, one number at a time, and wait for the beep that signifies that you have unlocked the safe. If you hear no beep, the combination is incorrect. Wait a few minutes and try another combination. Many safes will go into "lockdown" mode if you attempt incorrect combinations multiple times. If this happens, you may have to wait five minutes between combination attempts. 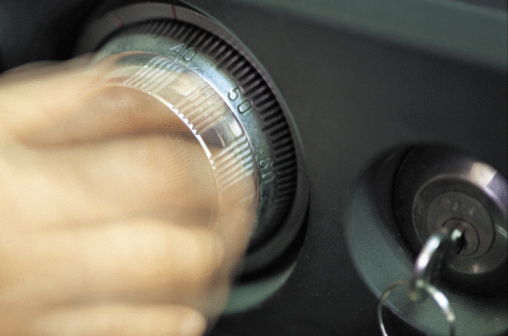 Examine the keypad of your safe. If you open the safe frequently and have not changed the combination, there will be wear on the numbers of your combination. For example, if the numbers "9," "3" and "2" have the most wear, you may try every variation possible of these three numbers, such as "932," "9323" and "9329." Reset your pass code, if necessary. The technique varies slightly depending on the brand of your safe. Typically, you must hold the "Program" or "Power" key until you hear a beep. You then enter your new combination and press "A" or the pound key, depending on your safe. For additional instructions, check the manual of your safe. Some safes will not allow you to reset the pass code without entering the current combination.